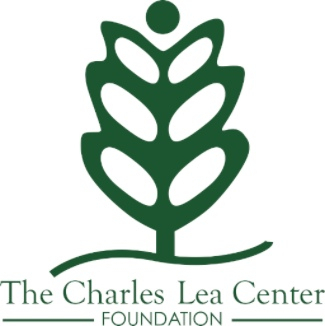 The mission of The Charles Lea Center Foundation is to raise awareness about the Charles Lea Center and to provide funds, primarily from the private sector, to assist the Center’s mission of improving the quality of life for those with disabilities and special needs. The Foundation was established in 1985 and currently has combined assets of approximately two million in cash and invested funds. Donations of cash, stocks and gifts-in-kind to the CLC Foundation are generally tax deductible. Each year in November, an annual fund solicitation letter is sent to a broad list of prospective donors (including past and current supporters) seeking contributions for the CLC through the Foundation. The Charles Lea Center Foundation established the Gil Hooper Society of Giving as a leadership giving society for donors who wish to make unrestricted gifts at an amount that can make a significant impact on annual grants and operations. Named for the CLC’s founder and first executive director Gilman S. Hooper, the starting membership gift is $1,000 annually. A planned giving program encourages supporters of the Center to consider bequests, trusts, gifts of real property, or life insurance policies. Several gifts of this type have been received in the Foundation’s 25-plus-year history. Expertise in estate planning is available to the Foundation from current and former Trustees, and through the Spartanburg County Foundation, through which the Foundation’s endowment is invested. ROAD RALLY – The Charles Lea Center Foundation’s signature fundraising event for 30 years is “a scavenger hunt in a car” which leads carloads of participants through a mystery or puzzle with driving clues that take them around the community. A fun, informal dinner follows the rally with a white elephant raffle, games and prizes. Sponsorship opportunities range from $250 to $5,000 and offer many great marketing options. Tickets are $50 per person. WINE TASTING – In 2010, a wine tasting and sale held in the early spring was added as a fundraiser. Tickets are $125 per person. SHOOT ‘N SHUCK – This sporting clay shooting tournament and oyster roast featuring a hunting themed auction is held each spring at the Clinton House Plantation located on the Spartanburg/Laurens County line. Sponsorship opportunities range from $150 to $3,000. $550 for a four-person shooting team. RJ ROCKERS GOLF TOURNAMENT – Brewmeister Mark Johnsen has hosted this tournament benefiting the Charles Lea Center for 18 years. Held the last Sunday in April, this event has a loyal group of RJ Rockers beer-loving supporters! The tournament fills up every year with more than 30 foursomes. Sponsorships range from $150 to $1,000 offering signage at a golf hole or green and marketing recognition the day of the event. $250 per golf foursome.